FOOTY fans will have the chance to take part in kick-to-kick on the ground after the final siren at nearly half of all home-and-away games this season. In a significant boost to the popular activity, supporters across Australia will be allowed onto the playing arena after 96 matches as part of the League's continued 'Sunday Funday' push. Children under 15 will again be given free general admission entry to MCG and Etihad Stadium matches on Sundays, provided they are accompanied by an adult. "One of our major objectives over the past 18 months has been to improve the accessibility and affordability of attending matches," AFL general manager of clubs and operations Travis Auld said. "Free entry for children under 15 on Sundays at Etihad Stadium and the MCG makes attending the football really affordable for families at a really appealing time-slot, and this proved a great success in 2015." Kick-to-kick will start in round one and will be available to fans after games in every state and territory. 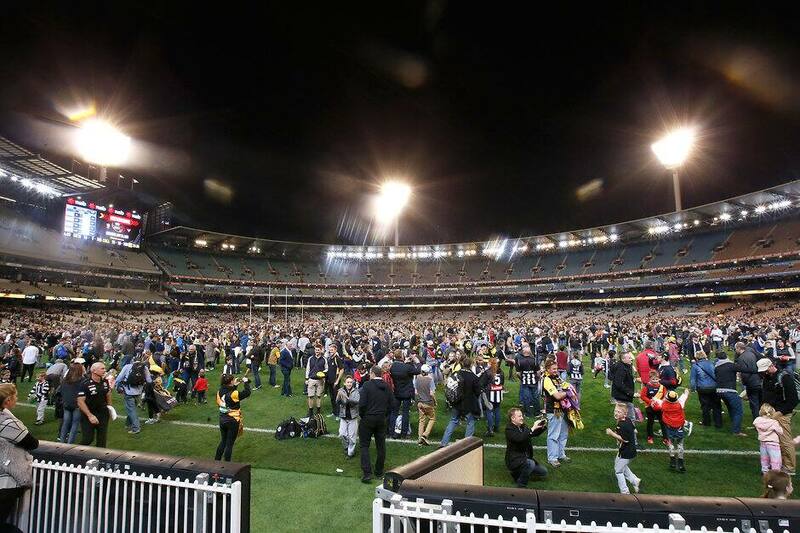 "There is no doubt our fans love the tradition of having a kick on the ground after the final siren," Auld said. "With close to half the matches during the home-and-away season including this opportunity, it shows that the AFL and our stadium partners are committed to continuing this tradition. Due to the difficulty maintaining surfaces in winter, kick-to-kick won't be available after games at the MCG or Etihad Stadium in June or July.